DETROIT -- BMW this year will introduce in North America a 7 series equipped with an inline six-cylinder engine, said Ian Robertson, the BMW AG board member in charge of sales and marketing. The turbocharged 740i will be the first 7 series equipped with a six-cylinder engine since 1992, said brand spokesman Jan Ehlen. Since then, all 7-series cars have had eight-cylinder engines. Ehlen said the car will be available in the second quarter. • Robertson said BMW and Mini dealers in the United States spent $427 million on their stores last year and about $3.2 billion over the past 10 years. 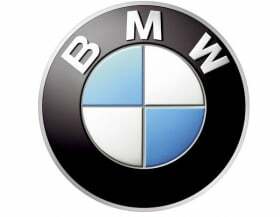 • BMW Group, including Mini and Rolls-Royce, expects to increase sales in 2010 by single digits, Robertson said. • The concept ActiveE, based on the 1-series coupe, will be available in 2011, said Klaus Draeger, the BMW board member in charge of r&d. The electric vehicle is powered by a new synchronous motor that generates 170 hp. Its power is stored in newly developed lithium ion batteries.